Joulukorttikauppa means Christmas Card Shop in Finnish. 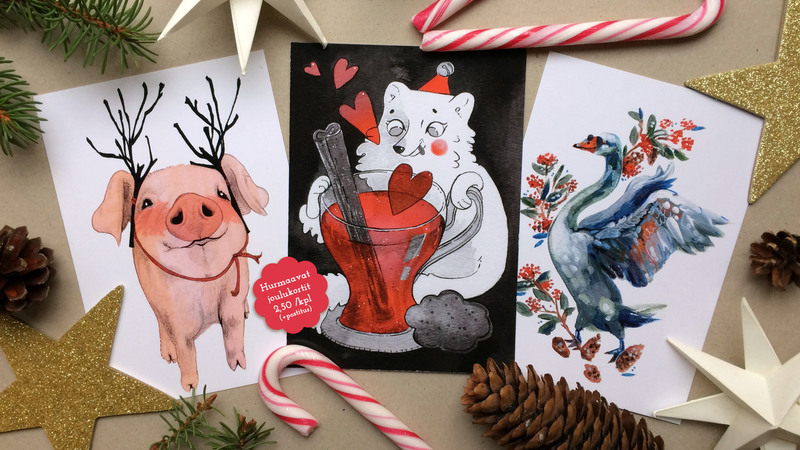 This particular one is my very own Christmas Card Shop where I sell postcards illustrated by me and my boyfriend Vesa Kuula. My limited edition postcards cost 2,50€ per piece, plus postal cost depending where you live. The cards are printed on shiny 300gsm postcard cardboard in Turku Finland. The size is A6. The web shop is hosted by Finnish bank Holvi and operated by me. I’m receiving personally your payment and sending you the postcards by hand. I’ll be posting the cards on Saturdays. 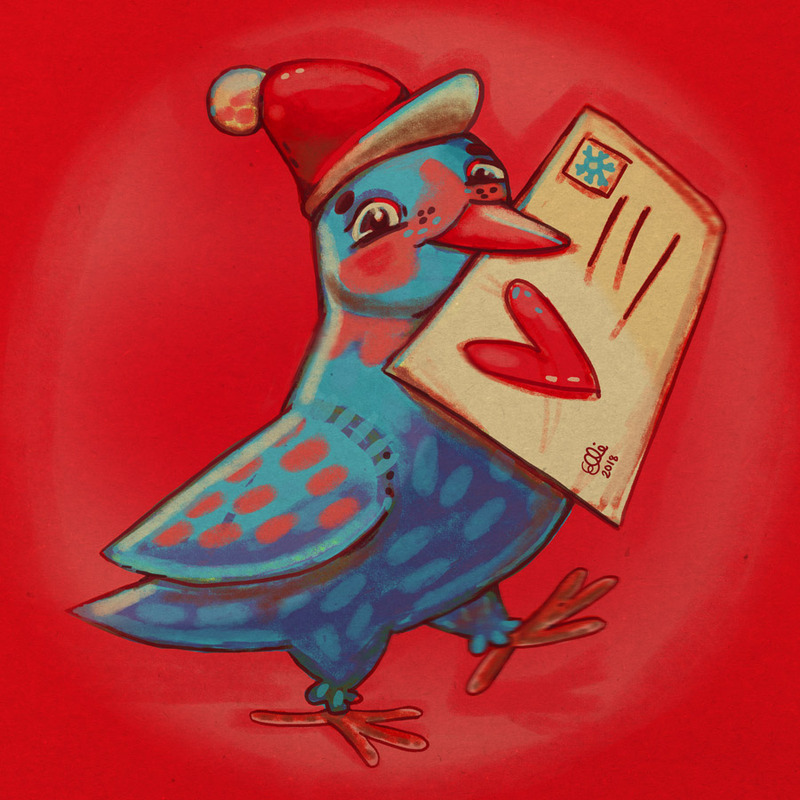 When you make your order before Friday night, the cards will be in post office by Saturday noon. I apologies that the shop is in mostly Finnish. If you’re not fluent in Finnish you can turn the shopping language to English from the globe icon (yellow arrow in the image below). 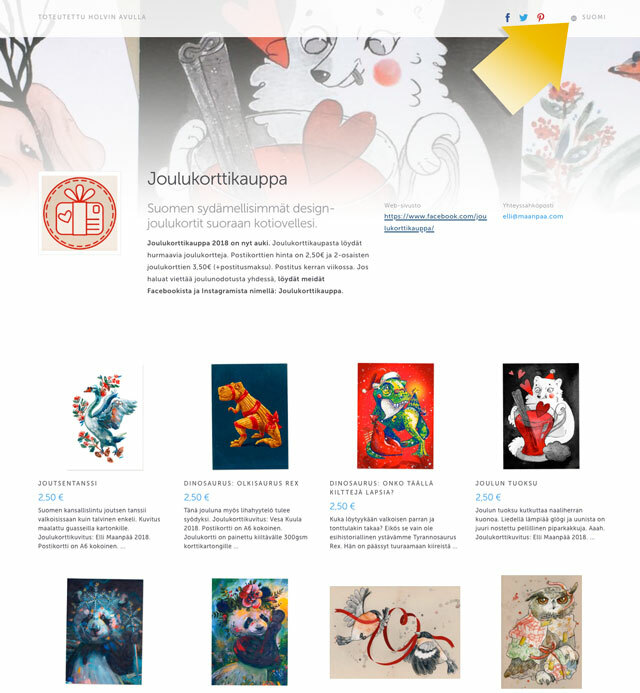 Even though the postcard descriptions stay in Finnish it makes it little easier to navigate on the site. Feel free to use the Google translate to understand the rest. Or send me a note anytime trough Instagram or email elli (at) maanpaa.com if you have have some questions. Our biggest inspirations this year were dinosaurs and exotic animals. But you still find the ever green illustrations about Christmas piglets, Christmas birds and guinea pigs among the other designs. 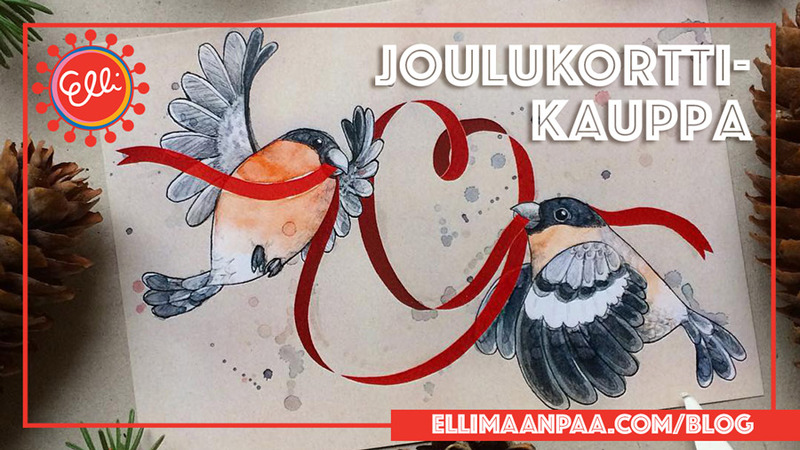 If you’re into Christmas I hope you join our Joulukorttikauppa community in facebook or Instagram. Let’s count the nights till Christmas together. 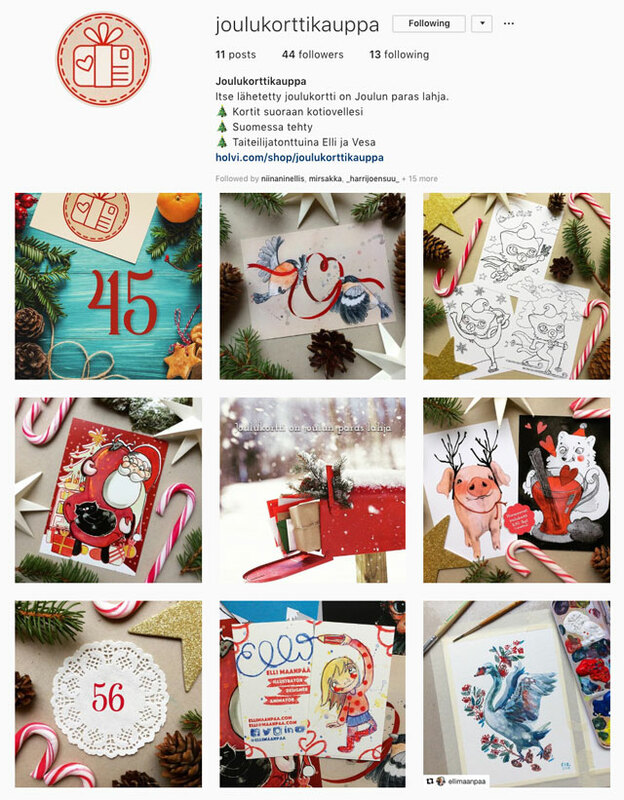 Joulukorttikauppa’s Instagram. Come to follow us! Thank you for reading and being the awesome person you are. Be well. Be inspired. And enjoy!